What other extremism is there out there threatening the whole world? Is the Dalai Lama calling for violence by Buddhists? When is the last time the Pope declared a Catholic Crusade against a crude picture of Jesus? Did the Mormons start a jihad after the insulting “Book of Mormon” musical came out? It’s many different groups from the Taliban to Al Qaeda to Boko Haram to the Moros. However, they all have the same basic tenets and beliefs. They’re all committed to Sharia Law. 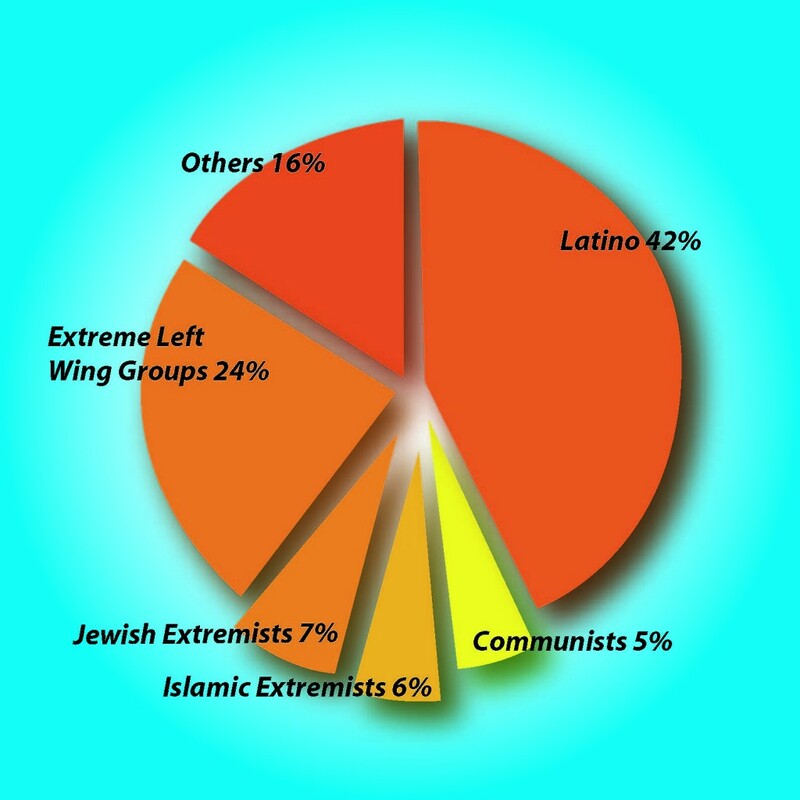 Can you name any other “Violent Extremism” that is more of a threat than Islamic Fundamentalism? 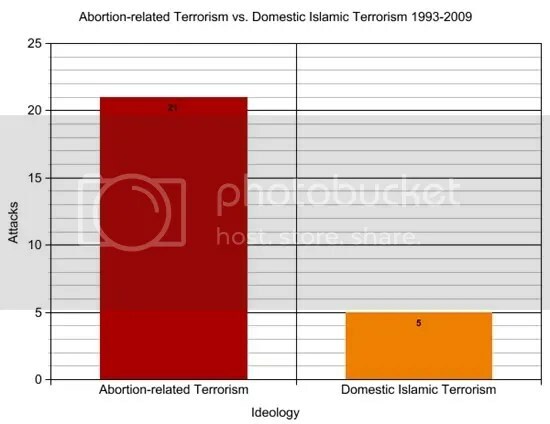 CAIR keeps putting this chart out (Council for American Islamic Relations) to supposedly “prove” that Islamic Extremists are not a threat. “Left Wing Groups” don’t include Communists? And does that include PETA and other environmental/animal rights wackos? I wonder if they are including things like when the kooks wrecked the Wegmans Supermarkets egg farm to “free the oppressed chickens”? Well by THAT definition, then the Black Panthers patrolling the polling booths in Chicago in 2008 and 2012 “scaring off white voters” should be included as terrorism right? Too bad the Attorney General Eric Holder said that he “saw no wrong doing” in that case. Convenient he used to be a cohort of the Black Panthers… and Michelle Obama…as well as a number of the Obama Cabinet. Not saying they had no RIGHT to. Just saying that it’s a little bit of a conflict of interest. This is a great example of the bullcrap floating around out there. It’s not based on real figures, and those slim pickings it’s picked from are twisted so as to be meaningless. Jane’s has a very good reputation on tracking these things. Lots of people pay good money for their excellent analysis and data collection as an information service. But yes, these are international figures. I was talking about attacks on US soil. No Jihad Threat in the US?